A 16 year old Emaan girl. In the Glomar, she serves as the Vice-Captain and provides battle info and tactics. Her interest in Kei at first was because he is the Idiosynchratic Point and thus was given orders by her family to return him to the Emaan country. 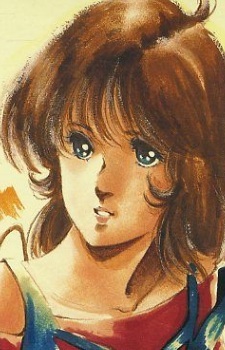 As the series progresses, she begins to develop romantic feelings for Kei, even though she is engaged to Slay in order to bear children as she is at the peak of her fertility (see Shaya Thoov). Mimsy also acts as Kei's guide in learning the culture of the Emaans. Her family, along with Shaya's family, runs the Emaan country.